The book tells the story of Kidane, a young student in Eritrea, who at 23 took the decision to flee his country. This column is about Goitom Yosief. He lived in Malta for eight years, after fleeing Eritrea. Last Wednesday, he left our island for repatriation in the US. 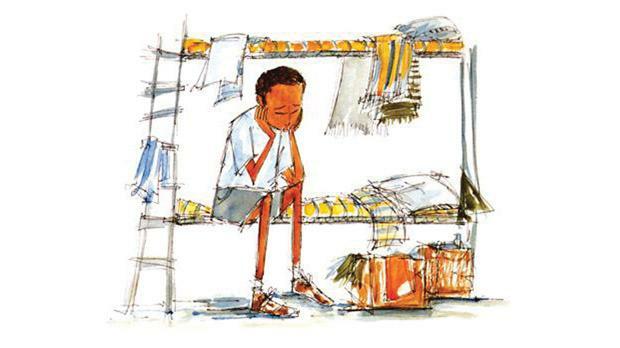 I first met Goitom two years ago, when I had interviewed him about a children’s book, Kidane – A Story of Hope, published by the Jesuit Refugee Service. The book tells the story of Kidane, a young student in Eritrea, who at 23 took the decision to flee his country. It illustrates the perils of the trip, the sadness at not seeing his family and his wish to be a geography teacher. “It is based on my real story, even though it was not easy for me to share it because every time I have to remember the horrific parts,” Goitom had told me, calmly, soft-spokenly. Goitom had one overarching hope for the book: that it would help children understand that there are stories, individuals and aspirations behind asylum seekers who come to Malta. From first-hand experience, I could see that it was brilliant: my daughter and her friends, then aged five, loved the book and its illustrations, and it was the perfect platform for us to talk about why some people are forced to run away from their country and how hard the journey is. While working for the Jesuit Refugee Service, Goitom ran the school outreach programme, organising ethnic activities like drumming or hair plaiting. Refugees then shared their story of why they had to come to Malta. A lot of misconceptions were cleared away through this interaction between children and refugees. I attended a few of the workshops he did with children: they were given a copy of the book and shown maps of the journey so they can understand better the atrocious distances. It was all clear testimony to how much easier it is to advocate human rights and work on cultural diversity with younger children than with adults. In a single workshop, several myths were being busted. Children learnt how refugees did not live off the taxpayer, but worked and paid tax and national insurance. In simple terms children were made to understand the asylum protection process: how strict the procedure is and how some asylum seekers deserved protection but didn’t get it because they didn’t have proof that they had run away from their country, so they had to have their visa renewed every few months. That was two years ago. We bumped into each other again on Tuesday, the day before he left for the States. We were joking how before he came to Malta, he had learnt English through Hollywood movies and spoke with an American drawl. Leaving Malta was a bitter-sweet decision for him. He loved Malta and found his work rewarding but was not granted refugee status. “I’d like a bit of stability now.” In the US, after a number of years, he’ll be able to get his citizenship. While I am very happy for him, I think it is a sad loss to our society. Goitom worked tirelessly for diversity integration for our future generations. It’s only thanks to his work and that of others that we can stave off horrific incidents such as the court case we saw last week of two Detention Service officers accused of the involuntary murder of a Nigerian migrant three years ago. It makes you think how much more healthy our society would be if we gave citizenships to people who gave their soul to the country rather than their money.